From the studio that brought us Coraline, check out the poster for the cool looking animated film PARANORMAN which tells us, "you don't become a hero by being normal." The film's voice talent includes Kodi Smit-McPhee as Norman, Anna Kendrick, Casey Affleck, Christopher Mintz-Plasse, John Goodman, Leslie Mann and Vanessa Huxtable. 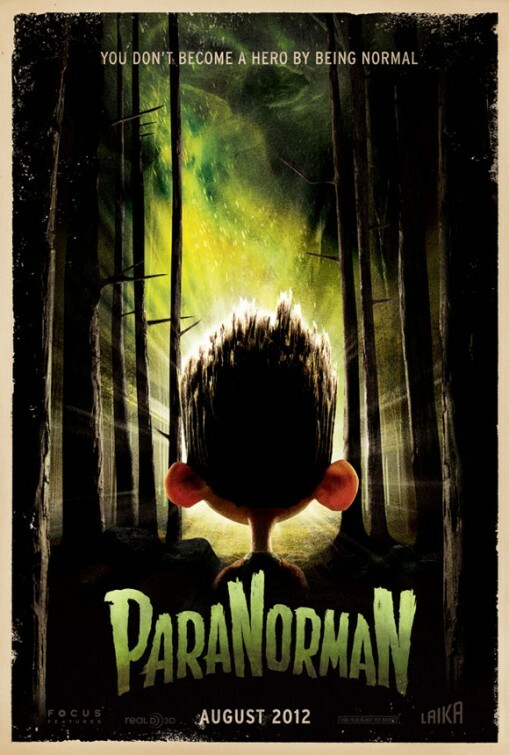 ParaNorman tells the story of a young boy named Norman, a sort of poetic outsider who can communicate with the dead. He's ostracized for his oddities, he comes to use his powers to fend off supernatural forces in order to save his town from evil.